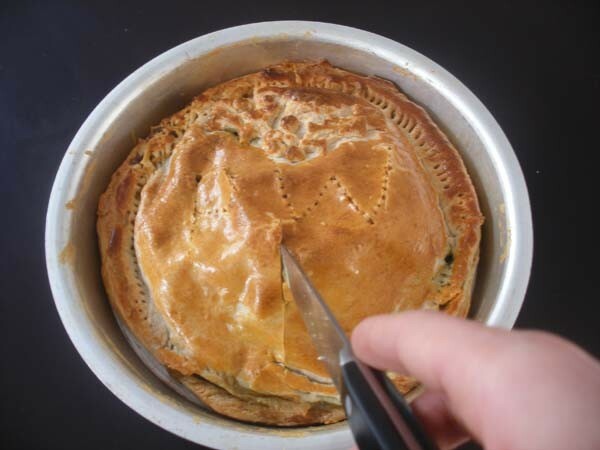 public works spinach pie specially made by Ottilie for the office x mas lunch. With architectural practices AOC (London), atelier d’architecture autogérée (Paris), drmm architects (London) and Robert Mull, Architect and Head of Architecture and Spatial Design at the London Metropolitan University. As part of the 'Can you show me the space' show at the Stanley Picker Gallery in Kingston public works have commissioned three maps by the architectural practices AOC, atelier d’architecture autogérée and drmm architects. 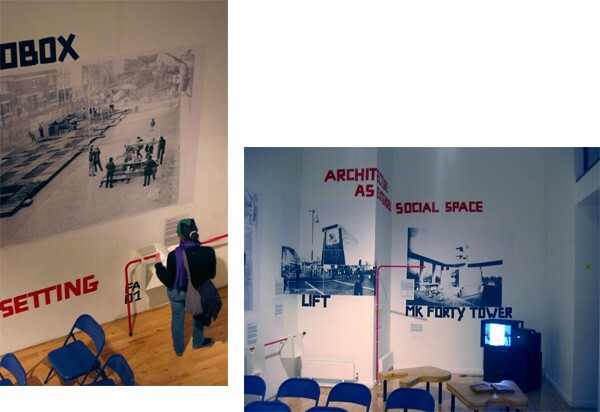 The invited practices revisit and map the wider 'socio-spatial construct' of one of their recent projects, including off site informal networks and spaces that were used or which were created while the project was taking shape or after its completion. 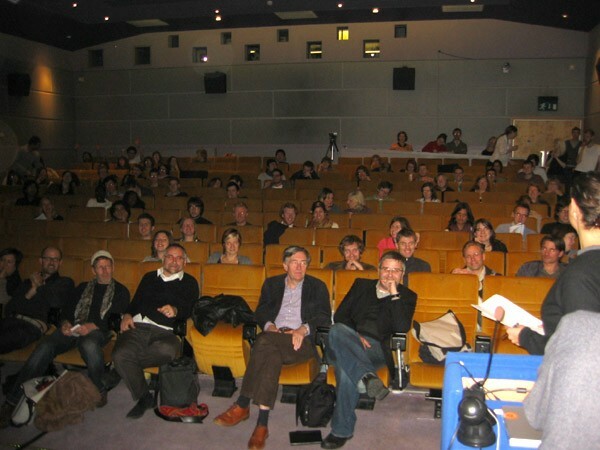 The presenations on the individual mappings is followed by a round table discussion. A fanzine which will be published following the talk will capture the forms of representation suggested by the different practices, with an additional essay by Professor Robert Mull, Architect and Head of Architecture and Spatial Design at the London Metropolitan University. 'Can you show me the space' points to a conceptual and practical need within design disciplines, to capture, visualise and acknowledge social and informal phenomena as part of architectural production. The representation of space within design/architecture is primarily focused on the description of the built form. Everyday life demonstrates that programmes and social networks are not confined to single built structures. Instead they spread across sites, time and relationships, and create new networks of spaces that we all use but almost never acknowledge or recognise as spatial constructs. The British Council launched a major new arts initiative across South East Europe and wewere invited to take part in it. The British Council wanted to bring together an exceptional group of creative professionals to build new networks and develop new forms of collaboration between arts communities in Europe and the surrounding neighbourhood. Over 100 international delegates came together for the British Council event called “The Space” which took place in Istanbul from 24th – 27th November. The event was based on the use of 'Open Space Technology' – a lively and interactive method of stimulating dialogue and learning – where we as a participant set the agenda to deal with the issues that are most important to us. It is an extremely dynamic way of discussing difficult questions and turning talk into action in a very short space of time. A report was generated by the participants in “The Space” and action groups were formed to take ideas forward. Alternate Currents is a major international symposium which looks at alternative forms of architectural praxis. The symposium will present a range of ideas from around the world which propose new and reflective ways to conduct architectural practice. 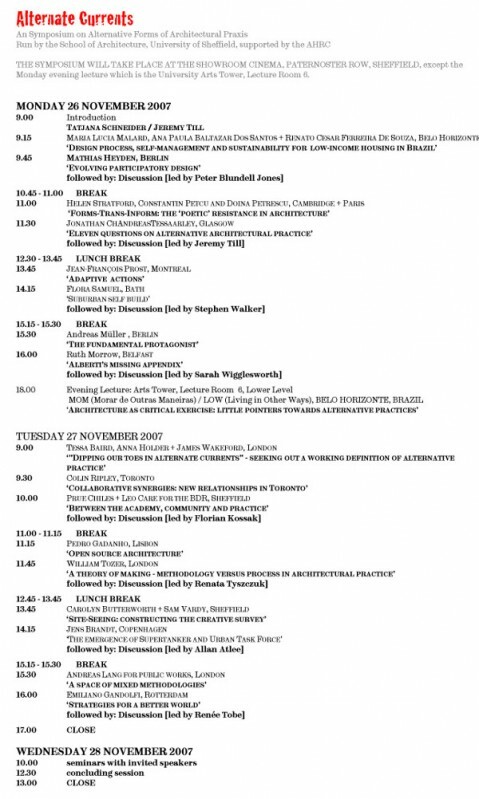 Many of the speakers start from a critical position with regard to the normative models of architectural practice and the values embedded in it. Whether from political, social, gender or theoretical standpoints, the speakers propose innovative ways of thinking about the future of architectural practice. The symposium is open to all and is particularly relevant to practitioners and students interested in alternative ways of operating. 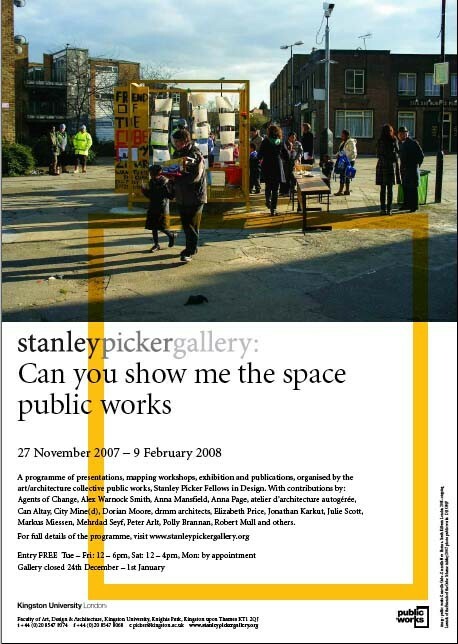 public works has organised a two month programme of presentations, mapping workshops, exhibition and publications for Stanley Picker Gallery, which will open to the public on Wednesday 28 November. We will give a talk about the issues and reasons behind "Can you show me the space" at 5.30 pm, followed by launch of exhibition and first project fanzines from 6.30 - 8.30 pm. Running up to the launch we have been collaborating with Can Altay on the collaborative setting up of the different elements in the gallery space. Can you show me the space points to a conceptual and practical need within design disciplines, to capture, visualise and acknowledge social and informal phenomena as part of architectural production. The reproduction representation of space within design/architecture is primarily focused on the description of the built form. Everyday life demonstrates that programmes and social networks are not confined to single built structures. Instead they spread across sites, time and relationships, and create new networks of spaces that we all use but almost never acknowledge or recognise as spatial constructs. Can you show me the space offers different public platforms to explore five theme-based blocks: Setting a Setting; Representation of Relational Spaces; Mapping the Centre of Useless Splendour; Architecture as Extended Social Space and Relational Mapping Tools. Each block will result in a fanzine of visual material accompanied by a commissioned essay, available throughout the exhibition and launched at the end of the exhibition as a compiled publication. With contributions by: Agents of Change (London), Alex Warnock Smith (London); Anna Mansfield (London); atelier d’architecture autogérée (Paris); Can Altay (Bristol/Ankara), Citymin(e)d (Bruxelles/London); Dorian Moore (London); drmm architects (London); Elizabeth Price (Kingston/London); Markus Miessen (London); Peter Arlt (Linz); Polly Brannan (London); Robert Mull (London) and others. public works is the current Stanley Picker Design Fellow at the Faculty of Art, design & Architecture at Kingston University. with Marjetica Potrč, Andreas Lang (Architect/public works, UK), Wapke Feenstra (Artist/myvillages.org, NL), Dominic Stevens (Architect/IRL), and Sheila Gallagher (The Green Sod Land Trust/IRL), chaired by Nathalie Weadick, (Director, The Irish Architecture Foundation). “Rural Evolution” is organised in partnership with The Irish Architecture Foundation. As the second meeting for a series that are organized by Can Altay, within his exhibition in Gallery 1, the round-table will consist of Celine Condorelli, public works, and the Salford Restoration Office (Lesley Young and James Hutchinson). 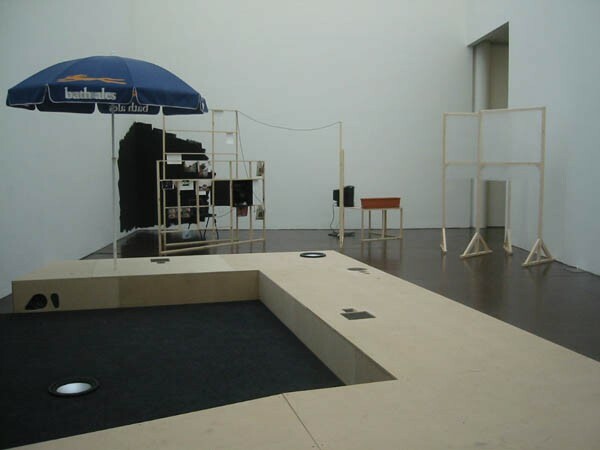 This round-table takes to its center the notions (or concepts) of support and control, followed by “letting go” as forms of relations crucial for a critical gaze on the social, spatial, economical, political realms, and hence in the contexts of art and architecture. The round-table focuses on the realms of art and architecture, as well as the space between them, within the framework of the title. Invited speakers all have particular practices in relation to the topic, working with situations where they act as agents and instigators of relationships, be it in physical / spatial form; or in the form of dialogues that cut through a hierarchy of actors/parties; or mostly and unavoidably as a combination of these forms. All speakers also work in positions where they are both recipients and transmitters of support simultaneously. Women from the village of Höfen, together with the London based Product Designer Angelika Seeschaaf have again developed and produced a series of new Höfer Goods, which will be presented as part of this year’s village fete; together with other local specialities. Höfer Goods capture narratives, skills and materials from the village. At the same time they’re addressing the history of the village and issues of contemporary rural production. the history of local porcelain manufacturing. 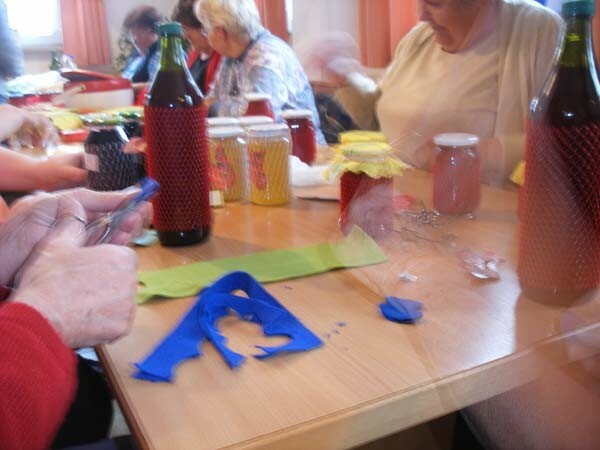 In 2007 the products have been developed around the idea of “textiles” and “containers” and result e.g. in a Weck-jar-lamp and gossip bags. Höfer Goods has been initiated by Kathrin Böhm from public works, who is also a member of myvillages.org. She has started this project in her home village as part of the Our Villages series, to connect with and contextualise contemporary art practice in a rural context, and within a growing international network of rural cultural practices. This year the artist Wapke Feenstra will be present with goods from her Frisian home village, and the UK based arts organisation Grizedale Arts has sent some of their local produce. 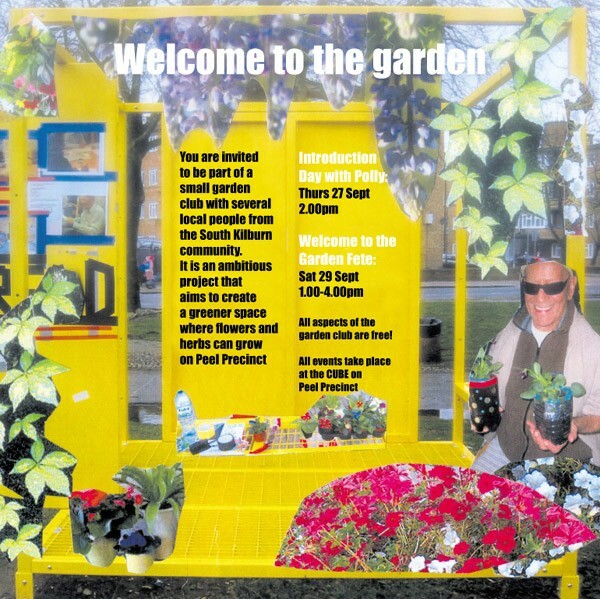 Welcome to the Garden fete is taking place at the CUBE on Peel Precinct, in the heart of the community of South Kilburn. Local resideints will be creating competions for families, including a paper areoplane race! Some residnets will be selling there home made cakes and own grown friut and veg! Could this could be the start of something? A market? A Gardening Community Group?come rain or shine we will be there re planting the plant boxes that have been neglected for so long, so come join us and bring a shovel to help plant thye new gardens!